Dear Mom or Dad, I am reading The Graveyard Book in my English class. Here is a link for some of what we have been doing inside class. I’m currently on page 135. In the 20 minutes of in-class reading time, I read about 40 pages In those 20 minutes, I read about 100% of the time. It will take me about 14 more in class reading times to finish the book. Or 6 pages everyday. During class I’m good right now because I don’t really like who I am sitting by. When I am with my friend I’m some what helpful I try to help people with their work. But when I’m with certain friend I pay no attention. That is not the case in English. I’m doing good in all my scores. I turned in my WE THE PEOPLE paper and now have an a in History. My English grade has stayed an A the inter year so far. I have ether 100 or higher in all my classes. I loved sitting in the corner because of who I was sitting by. 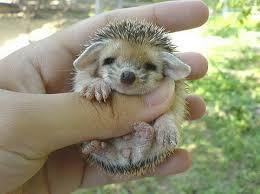 I’m putting a picture on here because you have to see that I can so I’m putting a picture of a baby hedgehog. Thank you for checking how good I am.